Sephora started employing data collected through V-Count devices to gain more visibility into their operations and business cycles. Taking quick actions based on this data, the company has significantly increased conversion rates. Since the installment of the 3D Alpha+ Devices in January 2017 in-store conversion rates have increased more than 5% in Samsung Electronics stores. Arçelik’s conversion rate has increased significantly since 2013, with V-Count’s retail analytics solutions, along with a boost in the sales volume and customer satisfaction. Whirlpool optimized staff scheduling, increased the effectiveness of their window displays and in-store campaigns substantially. V-Count assisted ATU in optimizing the staff according to occupancy rates enabled Istanbul Duty Free Shop to increase its conversion rate by 18.2% in the first year. V-Count People Counting and Heatmap in-store analysis helped Hatemoglu, increase conversion rates, optimize personnel shifts and merchandising decisions. 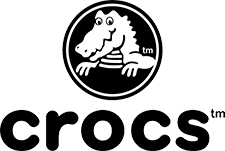 Crocs increased conversion rates by two points after reorganizing staff schedules using traffic data.